One of the best things you can do when beginning your landscape from scratch or reconstructing is to simply walk out into the yard in the far back corner and stand. Give yourself some time and just imagine what the best look would be for your yard. Be sure to take into account the size of yard you have, what the neighbors have done, what you have done in the past, or if you need to keep it clean for the kids. Don’t forget to take down notes of ideas from others you know and professionals. Look on the internet. Look on the TV. Look into magazines, coffee shops, Home Depot, etc. A few meditative minutes could save you hours of frustration. Taking away lawn and putting in a large patio or brick surfacing will be easier to maintain, however, it can be less pleasing to the feet, and the eye. There is no substitute for grass but consider a mixture of grass and water-sipping plants so you can conserve but still have a feet-friendly yard that is pleasing to the eye. Let us first define what the focal point is in landscaping. It is an element in the yard that draws the attention of the eye. A good example of one is a fountain, or small pond. The focal point will be different for every yard depending on the climate. A bad example would be a yard with nothing but a lawn. No matter how flat and fluffy the lawn is, it won’t be talked about by the neighbors unless you have an Egyptian fountain or an awesome fire pit. But don’t go overboard. A nice little pond never hurt anyone. You most likely have an idea of how much you want to spend on your landscape project. Be sure that whatever you put in your yard, you are going to use. An example of this is the expensive outdoor kitchen that gets used once a year. There are all kinds of appliances that appear to be necessary for a decent yard. Remember that you have a kitchen in the house. Spend the money where it counts and don’t get carried away. Mixing and matching is harder than it looks and must be done. Designing a landscape is a lot like writing a musical composition. Playing the same note isn’t very exciting, but adding sharps and flats here and there, with multiple instruments, creates a feel for the listener. It is the same with landscaping. Use tall and small trees. Plant violet and yellow flowers. Stay away from the sameness look. It does get more complicated, but it is well worth it. Mixing and matching is great with color and objects, but the style must stay the same, or else you will be spending a lot more money on Tylenol to get rid of those headaches. Much like mixing and matching, the style you choose must be consistent and appealing. The best way to get ideas on style is to go on a Sunday afternoon drive. See what other people have done, or haven’t done. By looking at others strengths and mistakes, you’ll be able to make an educated decision on which style will look best for your home. Once again, speaking with a few professionals won’t hurt. Once you pick a style, stick to it. If you mix the wrong styles, you won’t have one. When treated the right way, lighting can be used to your great advantage. It is a chance to focus on the items in your yard that you cherish the most, such as a lit up fountain. Not only does lighting provide a pristine look, it also provides security, safety and a higher electrical bill, so be careful not to buy the high energy light bulbs. If you plan on spending a lot of time on your back patio sipping ice cold beverages next to the fire, give your guests something to look at. Some good ideas for lighting would be lighted paths, fountains or flowerbeds. The hardscape of a yard adds character. You will want to leave room for the lawn, walkways and such, but you ought to consider adding patios and steps. 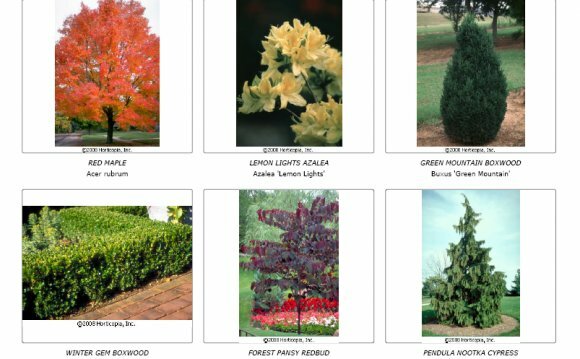 This gives you an opportunity to add accents to Mother Nature in your yard. Good hardscaping leads you through the landscape and gives you a sense of what the designer was trying to capture. You will also want to provide a spot where you can sit and look at your landscape. Don’t make the only view the one from the window. It may be the most difficult thing to design, but it will be the most beneficial feature to your yard. The best investment you can make for your yard is picking the best plants for your climate. A great feature that is on the top-rated landscaping software is the ability to look at a hardiness zone map. This map gives you an overview look at which plants can survive where in the US or world. An even better option is to go talk to a local plant nursery and ask them for their advice. They will know what plants do the best, and they may even try to sell you some. The look of your yard will also be dependent on how well your plants look in relation to surrounding houses and parks. You don’t have to be the same as everyone, but you ought to be a quite similar.